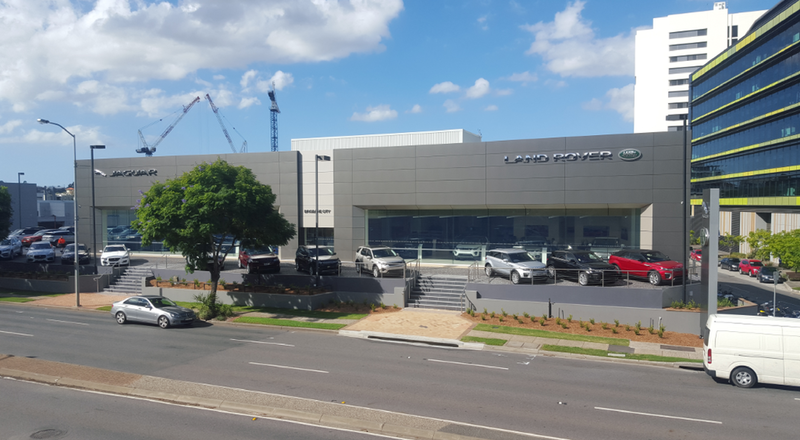 The new Jag and Landrover showrooms at Newstead were constructed on the existing suspended slab for the previous tenant. The project included full demolition of the existing showroom with a new steel framed structure for the 2 new showrooms. The existing lower level parking was maintained with the addition of staff facilities and disabled access lift to the showrooms above. Maintaining the existing suspended slabs as the showroom floor meant significant cost savings for the client. MPN worked closely with the Architect to ensure all client requirements were met despite the limitations of the existing slab. The frameless glass facade can be seen from Breakfast Creek Road and is a key design feature of the stunning new showroom.